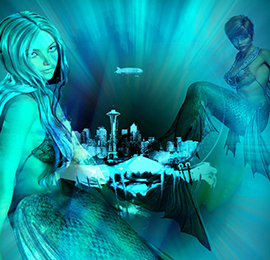 The mythical city of Atlantis has always been a point of conversation for many people. Its existence is a subject which has been debated on global platforms by experienced historians. Till date there have been many research and archaeological teams that have spend their valuable time in finding the exact location of the island of Atlantis. Initially it was believed that Atlantis was somewhere in the Atlantic ocean. However as the time passed there have been dozens of proposed locations which are nowhere near that original vicinity. This has further increased the confusion amongst researchers and has forced them to deliberate harder. Over the years the passion for finding the exact location of Atlantis has only become greater day by day. It has now turned into a large community of researchers and historians who have contributed major parts of the life in finding the truth behind this mythical tail. More so, Atlantis has now captured the attention of movie director as well as novelist. These individuals have tried to represent the known facts about this topic in their own specific way to increase people knowledge as well as make better sense of this situation. You can even find short documentaries and sitcoms regarding the same. Apart from that these days there are various articles and blogs also available online which give you a real insight into the history of Atlantis and its existence. All in all the web has become a source of information for numerous young readers who are keen on finding out more about the disappearance of Atlantis. It has also turned out to be a great story for children and is represented in many cartoon forms so that they still believe in the power of magic. On the other hand gaming companies have also taken up on making video games based on the same topic. If after reading all this you are interested in knowing in-depth about Atlantis then we suggest that you continue reading. This website is going to share with you amazing facts and details about the island of Atlantis and all the beliefs related to it. You can even find answers to some of your questions in our FAQ page. We assure you that the details we share with you will make you fall in love with the mythical stories of Atlantis. The history of this mythical island can be traced all the way back to the 9600 BC. The first ever mention that the island received was in Plato’s dialogue of Timaeus and Critias. 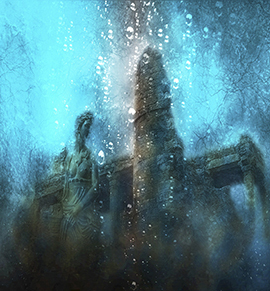 According to Plato, Atlantis was a part of ancient Greek and was one of the most powerful kingdoms of its time. In around 9600 BC, the kingdom was believed to have been submerged in the ocean overnight due to heavy rainfall and tsunamis. Copyright 2018 Atlantis. All rights reserved.